When Albert Einstein was mapping out his famous theory of general relativity, he didn’t think that one of his predictions would ever be directly observed – the light of a distant star being warped and magnified by the gravity of an object in its path. But now astronomers have seen Einstein’s prediction in real time, and have used it to solve the mystery of a white dwarf star’s mass, which was previously only possible in theory. The new findings blaze a new path to understanding the evolution of galaxies, including our own. “The research provides a new tool for determining the masses of objects we can’t easily measure by other means,” explains Terry Oswalt, astronomer at Embry-Riddle Aeronautical University, and author of a related perspective article in Science. A key prediction of Einstein’s theory of general relativity is gravitational lensing, which occurs when light bends around the gravitational field of another mass, such as a star. In this prediction, the light is deflected by twice the amount expected by classical Newtonian laws of gravity. This warping of light proposed by Einstein was first put to the test back in 1919 during a total solar eclipse, when light from the Hyades star cluster behind the Sun could be detected in the darkness. The measurements of the starlight crossing the Sun’s gravitational field during the eclipse fell in line with Einstein’s prediction, and represented the first evidence of general relativity. Taking his theory a step further, Einstein later suggested that the light of a distant star appears to brighten when it curves around the gravitational field of an object in its path. The curved space surrounding the massive object behaves like a giant magnifying lens. From Earth, when a star in the foreground passes exactly between us and a star in the background, gravitational microlensing forms an Einstein ring – a perfectly shaped circle of light. But because stars are spaced so far apart, the odds of seeing such perfect alignment are slim. Einstein himself pessimistically stated that “there is no hope of observing this phenomenon directly”, in a 1936 Science article. Again, Einstein was correct not being too hopeful. While partial Einstein rings have been observed several times in the 80 years since the legendary physicist published his paper, we have yet to see perfectly formed rings in the sky. And despite the technological advances of the last century, we also haven’t been able to catch a glimpse of the flip side – an asymmetrical Einstein ring. This occurs when two objects are slightly out of alignment, creating the illusion that the background star’s position has shifted. In Einstein’s prediction, the phenomenon is known as astrometric lensing. But thanks to the superior angular resolution of the Hubble Space Telescope, researchers from the Space Telescope Science Institute have finally been able to see this asymmetric phenomenon in action in a star other than our Sun. “The ring and its brightening were too small to be measured, but its asymmetry caused the distant star to appear off-centre from its true position,” Oswalt says. Kailash Chandra Sahu, lead author and astronomer at the US Space Telescope Institute, and his team searched through over 5,000 stars to spot the asymmetric alignment. They landed upon white dwarf star Stein 2051 B, which was due to be asymmetrically aligned with a distant star in March 2014. As the apparent position of the background star shifted, researchers were able to use the measurements to estimate the white dwarf star’s mass to be roughly 68 percent of our Sun. Until now, scientists haven’t been able to figure out the mass and composition of Stein 2051 B. For over a century, it was believed that the star – which is the sixth closest white dwarf star to the Sun – had an unusual composition, low mass, and an iron core. 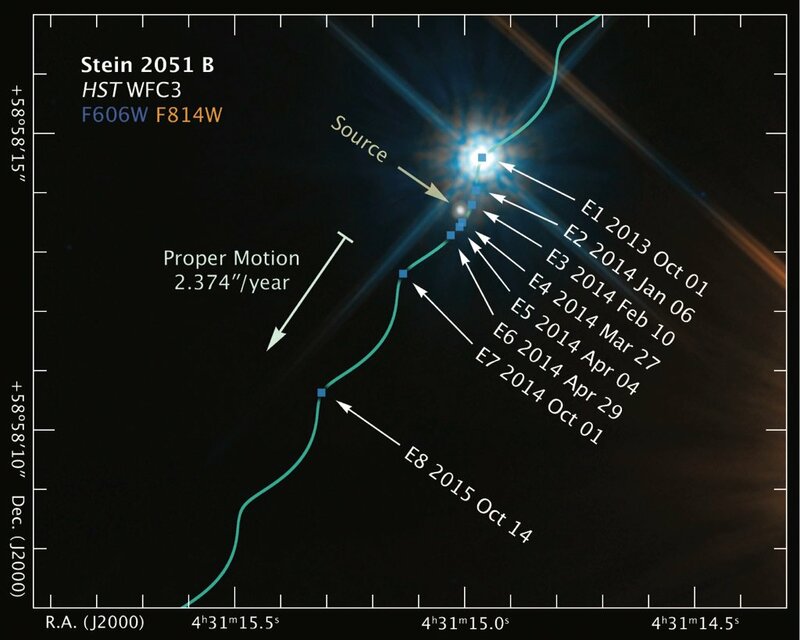 But the new findings show that the mysterious Stein 2051 B actually resembles your average white dwarf, with a relatively high mass and carbon-oxygen core. It is thought that at least 97 percent of stars in the galaxy are either white dwarfs or on their way to becoming one. They represent the end of the road in a star’s evolutionary journey, and offer a snapshot into the past and future of the cosmos. “Because they are the fossils of all prior generations of stars, white dwarfs are key to sorting out the history and evolution of galaxies such as our own,” Oswalt writes. And with some massive sky surveys coming up, such as the Large Synoptic Survey Telescope, astronomers are likely to catch more of these ‘rare’ events using astrometric lensing. Relatively speaking, Einstein would indeed be proud. The research has been published in Science. This entry was posted in Technology & Science and tagged gravity, Star, Weigh. Bookmark the permalink.